An Ji Bai Pian Cha Green Tea is a special green tea that contain an amount of amino acid, which is calming to the nervous system. 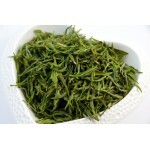 An Ji Bai Pian Cha Green Tea grows in a very sandy, rocky and rich in minerals soil. This environment has a powerful impact on the An Ji Bai Pian Cha Green Tea.